The fourth annual San José Poetry Festival will celebrate our community's diverse ethnic and cultural heritage with a wide range of topics and literary styles reflected in performances and workshops. Lisa Rosenberg, Poetess Kalamu Chaché, Yesika Salgado, and many, many more poets! Small Press Fair, Booksignings, Poetry Across Cultures, Spoken Word Performances, Poetry Workshop Day, and much, much more! Markham House Main Stage events plus staggered events to choose from. Scroll down for bios. Blessing/Invocation by Kanyon Sayers-Roods, Costanoan Ohlone-Mutsun and Chumash, also goes by her given Native name, Coyote Woman. 12:20-1:40	Lunch	Break: Safari Kitchen food truck will be offering affordable East African inspired Somali entrees, or bring your own picnic lunch. When you sit down to re-write a piece, it is possible you will make it worse. We know this, and it is a debilitating awareness we are better off without. Still, we often succeed! We sometimes return to a stitch of verse scrawled on a napkin, add here, cut there and make it work. But this process is usually intuitive. Hard to say how we do it exactly. Some parts of this magic trick should remain mysterious, but surely we can game it a little bit! In this workshop, David shares some revision techniques that have worked for him. He also leads activities to help you fit re-writing into your process. Most importantly, we spend a good amount of time revising our work with help from others. So if you can, please bring an unfinished poem—the more unfinished the better! David Perez served as the 2014-2016 Santa Clara County Poet Laureate. He is a repeat guest on the NPR storytelling series, Snap Judgment and a recipient of the Arts Council Silicon Valley Fellowship for Literary Art. He is the author of Love in a Time of Robot Apocalypse from Write Bloody Publishing. David has taught creative writing at San José State University and literature at Ohlone College. He lives in San José, California. So, What’s an Editor Anyway and Why Do You Care? Join professional freelance editor and poet, Parthenia M. Hicks, for an informal morning of discerning tips to improve your chances of getting your work read and accepted into the journal of your dreams (or the one on your bucket list). Learn what goes on in the head of the person who receives your one magnificent poem or manuscript. Could you have done anything to avoid that rejection or are all these things rigged anyway? We'll practice thinking like an editor, exploring topics such as: effective manuscript organization—what to leave in and what to take out (even if it hurts); what your manuscript/submission says about you and your work before an editor reads even one spectacular word; choosing the right journal for your work; rejections—the Never-To-Do List. We'll discuss when or if you need to hire an editor; where to find your perfect editor and what to expect from the editor-writer relationship, including fees. We'll end by jumping out of left brain and into one or two enticing, unique poetry prompts. Expect the unexpected. Intimacy in poetry is about conveying familiarity, sympathetic authority, and confidence. It is how we achieve immediacy and suggests strategies for commanding ‘center stage’ in the reader’s mind. Looking at intimacy in poetry we can reach through technique into hard choices of subject matter, point of view, and a dynamics of revelation. Participants should prepare by looking in their own ‘corpus’ of work for poems that succeed or fail in intimacy, and bring one poem to present. Corazón to Corazón: an informal workshop that asks writers to take a closer look at the power of vulnerability within poetry. Attendees will speak of identity, culture, romance and sexuality as tools used to create a truer self in one’s work. 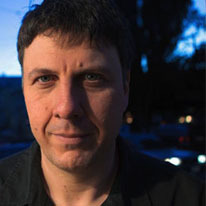 Matthew Zapruder is the author of four collections of poetry, most recently Come On All You Ghosts, a New York Times Notable Book of the Year, and Sun Bear, 2014, as well as Why Poetry, a book of prose, from Ecco Press/Harper Collins in August 2017. An Associate Professor in the MFA at Saint Mary’s College of California, he is also editor at large at Wave Books, and from 2016-7 held the annually rotating position of Editor of the Poetry Column for the New York Times Magazine. He lives in Oakland, California. 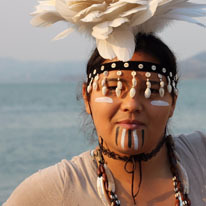 Kanyon Sayers-Roods is Costanoan Ohlone-Mutsun and Chumash; she also goes by her given Native name, "Coyote Woman." The daughter of Ann-Marie Sayers, she was raised in Indian Canyon, trust land of her family, which currently is one of the few spaces in Central California available for the Indigenous community for ceremony. Kanyon's art has been featured at the De Young Museum, Somarts Gallery, Gathering Tribes, Snag Magazine, and numerous Powwows and Indigenous Gatherings. She is a recent graduate of the Art Institute of California, Sunnyvale. Karina M. Young has been writing and publishing haiku in international journals and anthologies since 2000. Eucalyptus Wind, published in 2017 by Red Moon Press, was her first full-length collection of haiku. Through the Lupines, an online collection of haiku, was published by Snapshot Press in 2018. Karina M. Young lives in Salinas, California with her spouse and two dogs. Alison Woolpert became enamored with haiku as a young girl, and happily as an adult, she discovered the existence of haiku societies. A twenty-year member of the local Yuki Teikei Haiku Society, she recently published her first chapbook titled Greetings From. Alison also writes tanka and haibun. Her haiku have appeared in numerous publications, including Frogpond, Modern Haiku, and The Heron’s Nest. Amy Meier grew up in NYC and has lived in the San José, California area for over 30 years. In 2015 Amy founded VeteransWrite, currently meeting once a month in the SJSU MLK library. Her recent work has been published in Cæsura, Porter Gulch Review and online in Portside. Nick Butterfield served for 10 years in USN-R as a Hospital Corpsman. He was activated during Operation Desert Storm. Currently he works in Family Practice as a Nurse Practitioner in a FQHC Community Clinic and with the Health Care for the Homeless Project for the last 17 years. His poems have appeared in four anthologies and in Cæsura with poem entitled "PTSD." Jeffrey Leonard served in the U.S. Army between 1966-1968. Drafted out of San José State, he is a 12th generation descendant of men who have served in every major conflict dating back to pre-Revolutionary America. A survivor of the Vietnam Era, he is drawn to the stories of the returning soldiers and how their lives unfold after they remove the uniform. Fifty years after serving in Vietnam Doug Nelson is still trying to deal with the dissonance that comes with helping his country to be wrong. In 2007, Santa Clara County offered him a way to deal with Vietnam, assisting veterans with disability claims. His friends in the Willow Glen Poetry Project and in VeteransWrite are his mentors and muses. Emilio Gallegos is a United States Marine Corps and Operation Iraqi Freedom veteran, a Purple Heart recipient, and a single father of two. He is currently completing his Bachelor of Arts in English at SJSU, with a concentration in creative writing. Emilio has worked extensively with a men's ministry group, and has previously directed a youth ministry group leading and teaching high school and middle school students. He currently serves as a Vet Connect Peer Leader, on the San José State campus. Dale Barnett was raised in San José and joined the Air Force for a stint. He’s been married 28 years and has three children. He lives in Morgan Hill and has been writing since 2009. He has self-published 3 books, and is involved with Veterans Write, Poets@Play, San José and Yosemite poetry festivals. He also writes for Healing at the south San José VA clinic. Carol Steele comes from a military family. Both of her parents served in WWII. Her first husband and daughter’s father was in the Air Force in Vietnam and her grandson is currently in the Army. Carol has been writing poetry about the family experience while having a loved one in the military during a time of war. She studied with Ellen Bass for eight years and is currently in a poetry salon with Patricia Machmiller and a member of VeteransWrite. Aparna Ganguly is a Marketing Communications Consultant who lives in San José. She is a regular at Live Lit in Caffe Frascati on most Thursdays. She blogs at thevariegatedsky.blogspot.com and had her third book Bits and Pieces published recently. Her short story 'Belief' was a bestseller on Kindle Short Reads. She writes mostly flash fiction and personal essays in English and Bengali. Pranita Patel’s forthcoming book, Uncommon Goddess, a collection of poems and illuminated artwork will be coming out this fall. 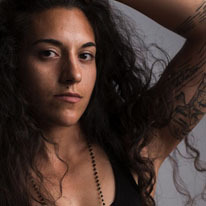 Her poetry has appeared in Solo Novo, her photography has appeared in Two: An Anthology of Flash Nonfiction. She has worked in the field of education for almost 20 years. She lives in New Almaden with a poet and two cats. Barbara Jane Reyes was born in Manila, the Philippines, and grew up in the San Francisco Bay area. She earned a BA in ethnic studies from the University of California at Berkeley, and an MFA from San Francisco State University. She is the author of the poetry collections Gravities of Center (2003), Poeta en San Francisco (2005), winner of the James Laughlin Award from the Academy of American Poets, and Diwata (2010). With her husband, the poet Oscar Bermeo, Reyes co-edits Doveglion Press, which publishes political literature. She has taught creative writing at Mills College and Philippine studies at the University of San Francisco. Samantha Lê immigrated to San Francisco at the age of nine. A recipient of the James D. Phelan Literary Award and the Donor Circle for the Arts Grant, Lê holds an MFA in Creative Writing from SJSU. 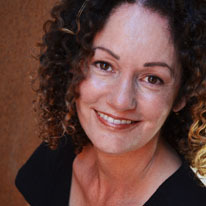 Her publications include Corridors (2001) and Little Sister Left Behind (2007). Her poetry has appeared in many journals, including: Bayou Magazine, Borderlands: Texas Poetry Review, Hypertrophic Literary and The Minnesota Review. Yaccaira Salvatierra is an educator and art instructor living in San José. Her poems have appeared in Huizache, Diálogo, Puerto del Sol, and Rattle, among others. She is a VONA (Voices of Our Nation) alumna, the recipient of the Dorrit Sibley Award for achievement in poetry, the 2015 winner of the Puerto del Sol Poetry Prize, and a nominee for a Pushcart Prize. 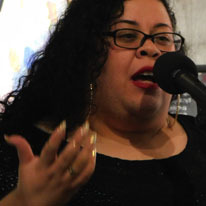 Yosimar Reyes is a nationally-acclaimed poet, educator, performance artist, and speaker. Born in Guerreo, Mexico, and raised in Eastside San José, Reyes explores the themes of migration and sexuality in his work. The Advocate named Reyes one of "13 LGBT Latinos Changing the World" and Remezcla included Reyes on their list of "10 Up And Coming Latinx Poets You Need To Know." He is co-founder of the performance ensemble, La Maricolectiva and he serves as Artist-in-Residence at the media and culture organization, Define American. Lisa Rosenberg’s debut collection, A Different Physics, won the 2017 Red Mountain Poetry Prize. She holds degrees in physics and creative writing, and worked for many years in engineering. A former Wallace Stegner Fellow, she is the current Poet Laureate of San Mateo County. Poetess Kalamu Chaché was born and raised in Brooklyn, New York. Since 1983, Chaché has been serving as the Poet Laureate of the City of East Palo Alto. 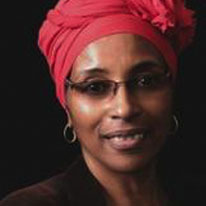 She appears in several book anthologies and has published three books of poetry, Survival Tactics (1975); A Change of Interest (1983); and Survival Interest: A Collection Of Revisited Poems (2013). Additionally, Chaché is a recording artist as a vocalist with the Sons and Daughters of Lite (1978), Daughters of Lite, and Beatless DJ Group for Ubiquity Records (2000), and solo artist for Undercurrent Records (1984–1987) and SONWA Records (2015). Lorenz Mazon Dumuk is a San José poet and mix medium artist. He has two collections of poetry, Ay Nako: Writing Through the Struggle, and I Think In Poetry. He is a VONA alumni, and a MALI (Multicultural Arts Leadership Institute) alumni. He is one of the curators for Glowing with the Moon, an open mic and interactive community space in San José. He also curates Open Space at Eastridge. Joseph Jason Santiago LaCour is a poet, artist, and emcee from the Midwest now living in Santa Cruz. Born 40 years ago into a Filipino and French Creole fiasco, he is a member of The Legendary Collective and co-curator of The Santa Cruz Word Church at The Santa Cruz Museum of Art and History. His book LEDDITGO: a recollection of poems, verses and visuals is available in Bookshop Santa Cruz. He is also releasing an album of songs via CD and download to be available on his website at www.josephjasonsantiagolacour.com. ASHA is an 8th grade teacher in San José at Monroe Middle school. She is an international poet, striving to use art to create radical change. Recently on the cover of Content Magazine, a feature at many of the prominent poetry events in the Bay Area, as well as active speaker, emcee and performer at numerous rallies and marches for civil and human rights including both years of the Women’s March and The March For Our Lives, ASHA consistently uses her platform to voice out against injustice and to speak up for those who have been marginalized and silenced for centuries. Join us at the beautiful History Park San José for San José Poetry Festival 2018—two full days of inspiration and exploration! Parking: Use Phelan Avenue lots, $6 fee at back lot. Public Transit: Take bus route #73, which stops at the corner of Phelan Avenue and Senter Road. San José Poetry Festival 2018 is presented by Poetry Center San José and is sponsored in part by: Festival and Cultural Affairs grants from the City of San José; a grant from Silicon Valley Creates, in partnership with the County of Santa Clara and the California Arts Council; Poets & Writers through grants it has received from The James Irvine Foundation and the Hearst Foundations; with support from History/San José; Books Inc; Recycle Bookstore; discounted accomodations from Hotel De Anza; and discounted advertising from Metro.